FloraSMART is a blend of 6 probiotics (lactic bacteria) which is formulated to provide ‘friendly bacteria’ to the intestinal tract and colon. 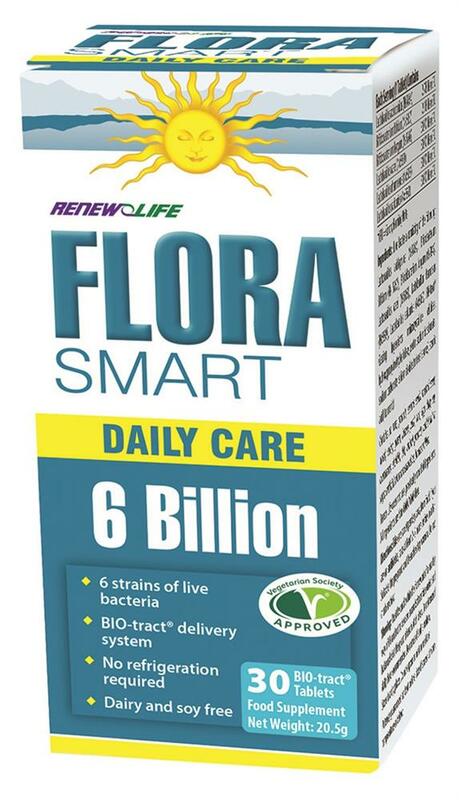 FloraSMART is different from all other probiotics on the market in that it uses an advanced ‘oral controlled’ release technology known as Bio-TractTM. This Bio-TractTM delivery technology protects the probiotics through the harsh environment of the stomach and delivers them into the intestinal tract where they can be utilized. This coating protects the FloraSMART from light and heat so that it does not require refrigeration. Recent research shows that probiotics help to improve gastrointestinal functions, respiratory and allergy responses; as well as help to counter the negative effects of antibiotic use. Probiotics support the immune system, balance the intestinal environment, and inhibit the growth of pathogenic organisms (ex. Candida albacans). Further, these beneficial bacteria help the body to produce vitamins and improve digestion. 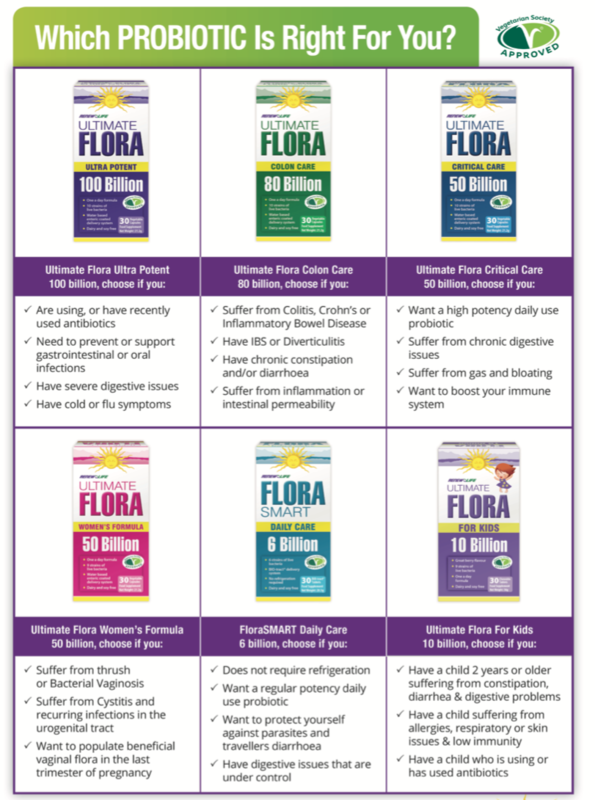 FloraSMART is like a “multivitamin” for your gut. Take 1 capsule per day 2 hours after food. If currently taking antibiotics, take at least 2 hours after taking antibiotics. Do not crush or chew. Must be used within the framework of a healthy way of life and not to be used like substitutes of a varied and balanced diet. Consult a health care practitioner if symptoms persist. Keep out of reach of children. Do not exceed daily dose recommended. Do not use if seal is broken.